The events triggered by Jesus’ entry into Jerusalem are some of the most dramatic and theologically significant of the entire scriptural narrative. The day features the pageant of a charismatic figure who captivates the imagination of a subjugated people into the religious center of old world, first-century Palestine. The long arc of prophetic utterance, spoken by Zechariah, has come to fulfillment in this jubilant procession. Without orchestration, a crowd assembles to greet the one who embodies their highest aspiration and deepest yearning for God’s realized purpose in their midst. And, as the prophecy goes, they rejoice greatly, as a daughter of Zion, lauding the king who comes to them in humility, riding on a donkey (Zech. 9:9). With branches, even cloaks, in hand, they intone the words of the Psalter, “Blessed is he who comes in the name of the Lord...” (Psalm 118:26). Such a demonstration stirs the souls of faithful pilgrims who gather within the precincts of the holy city for a customary feast, even to the dismay of religious leaders, the guardians of a moribund tradition. This day of palms and praise would become a day that begins the slow march toward an altar of sacrifice and a tomb of triumph. When the Christian tradition observes Palm Sunday, the commemoration that falls on the Sunday before Easter, it recollects these events through vivid imagery cast in texts of songs and Scripture. The liturgy is informed by the narrative witness of all four Gospel evangelists who retell the story (Matthew 21:1-11, Mark 11:1-11, Luke 19:28-44, and John 12:12-19). A composite testimony records the dispatching of two disciples to get a donkey that had been tied, never ridden, to be brought to Jesus. The procurement of the animal is an important part of the commemoration, especially as narrated by Matthew. Unlike Mark and Luke, Matthew records no promise of return to the owner regarding his animal. Presumably, the owner must assume the risk of loss himself—a loss that is compounded by the fact that both a donkey and a colt had been brought to Jesus. In lifting this detail, Matthew’s report gives the faithful of our day an opportunity to enter the reenactment of that day anew, considering the motivations behind our devotion and worship of God. Ours is a culture of transactions, a never-ending series of deal-making and negotiations. Specifically, the mercantile practices of consumer enterprise govern the domain of human relationships, which reduce the significance of everyday, common interaction into occasions for commercial gain and exchange. Quid pro quo is no longer an exclusive term of the legal lexicon, but is now common parlance in every aspect of life. We are a “this-for-that,” “a favor for a favor,” “give and take,” “you scratch my back, and I scratch yours” society. In the political world, special interest groups make large contributions to the campaigns of elected officials, hoping to curry favor on specific legislation. Of course, such behavior is both illegal and unethical, yet agents/lobbyists and agencies find creative ways to circumvent laws that uphold the interests of public good. In the world of college sports, the vice of bartering is present too. Very few were outraged by Josh Luchs’s stunning piece in Sports Illustrated in 2010 that told of the former sports agent’s participation in paying money and providing benefits to college athletes in clear violation of NCAA rules.1 Even at the highest level of athletic competition, the thirtieth Olympiad, athletes spoke out against the International Olympics Committee’s decision to prohibit athletes from promoting their sponsor’s products or brand during the games.2 For them, the issue of compensation was at the heart of their dissent. Given this heavily saturated culture of commercial interests, one is obliged to inquire to what degree has this transactional culture influenced religious sensibilities? More pointedly, to what extent do we engage the worship of God as a trading exchange to barter blessings or negotiate favorable outcomes? The often-quoted saying “When praises go up, blessings come down” is quite telling. Uttered in worship so authoritatively, not to mention regularly, many people of faith have come to accept this relational appropriation of praise and blessings in the simplest terms of transactional reciprocity: the giving of something (i.e., praise) triggers the release of something (blessings). Given this formula, who wouldn’t engage in the kind of religious patronage that guarantees such a favorable return on investment? Seldom do we consider the consequence for wedding the worship of God with principles of market capitalism. This union can only produce a perverted spirituality that uses praise as a currency to manipulate the hand of God, without concern for the interests that are in the heart of God—justice, equity, righteousness, etc. However, the first evangelist counters this culture with an ancient narrative detail that can help discern and measure the motives behind our worship of the Holy Other. Theologically, I believe God affirms and respects human agency in worship. That is to say, God desires devotion from beings who are not coerced into rendering such tribute. Likewise, those who engage in the acts of devotion should approach the one to whom tribute is rendered without intent of receiving anything in-kind. 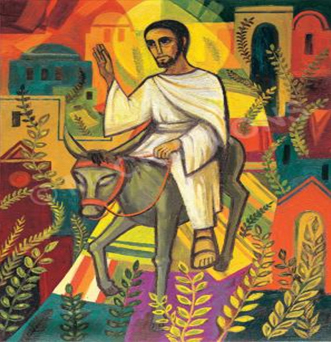 There is no better example of this than the owner of the donkey and the colt in Matthew’s Gospel. He demonstrates the kind of devotion that all should strive to render unto God: sacrificial acts that advances the purposes of God in the earth. Such a demonstration was performed by my seven year-old godson, Reuben Edward Cooper III, who died unexpectedly this past February. His mother, Daphne, remembers Reuben breaking his piggy bank one Sunday afternoon. She inquired why and Reuben replied, “I’m giving my all to Jesus.” Earlier that day, Reuben was in worship at my home church, Mission Baptist Church, and heard his father, the pastor, tell the congregation that “God desires our all, the full surrender of our lives.” So inspired was he by his father’s words that he decided to give all the money he had been saving to the work of the Lord. Daphne tells of Reuben’s pride when we marched up the aisle the following Sunday to surrender his all to God. He was promised no return and was given no guarantee that his savings would be replaced. He gave out of the sincerity of his spirit, the authenticity of his surrender to God, who desired all. The commemoration of Palm Sunday demands a sacrificial act because it is the prelude to the costliest sacrifice ever made. The procession of that day is not the dénouement of the story. No, it precipitates the final scene. It gives way to an act of sacrifice that makes all other sacrifice seem insignificant in comparison. The fulfillment of “Hosanna” (“Lord save us!”) is not accomplished on Sunday. It is fulfilled on Friday, on a cross that is suspended between earth and heaven and positioned between two malefactors. What this day offers is a fresh opportunity for worshippers to render praise and devotion without considering what we might receive in exchange. It is an opportunity to recover what seems to be lost in human relationships—altruism. The following song conveys a clear and profound message in support of sacrificial devotion unto God. Larnelle Harris sings about the great cost that can lie at the heart of our worship. Linking the call of Abraham to go to Moriah to sacrifice Isaac with the call of Jesus to go to Calvary to become the sacrifice, Harris uncovers an inescapable truth that praise can demand more of us than mere verbal recitation. Yes, God does hear the words of our lips. But God is more honored by what we are willing to surrender in the act of worship. I favor this song because of the interplay of an Old Testament text with a New Testament parallel. The gospel standard, “I’m Available to You,” performed by Milton Brunson’s choir, is another fitting song-text to accentuate the nuanced theme for this Palm Sunday commemoration. The first two stanzas acknowledge God as giver of the gifts we possess. One should notice that such gifts are given for specific functions: hands to reach out; ears to hear cries; the voice to sing praise; and the eyes to see the need for availability. This acknowledgment then leads the worshipper to offer these gifts in service to God in thelast stanza. In subtle ways, Brunson reminds us that our gifts are best used in service of God’s purposes. This is what the owner of the donkey and colt comes to discover. I can hear the cries of sinners, but can I wipe away their tears. I see hearts that has been broken, so many people to be free. Lord I’m available to You. My will I give to You. My storage is empty, and I am available to You. My hands, my ears, my voice, my eyes; so You can use them as You please. The poignant question of Psalm 116 forms the text of the Margaret Pleasant Douroux’s song “What Shall I Render.” What makes this text particularly significant is the inversion of the transactional model, along with the profound inadequacy of what the writer can offer in response to God’s benevolence. The flow of the transactional model begins with mortal praise and ends in divine blessings. But in Douroux’s lyrical model, mortal praise is a logical response to the divine blessing of God. Even more than that, mortal praise—giving of one’s body and soul—is the best that can be offered to the One who already possesses everything. This song is a delightful theological subversion of the commercial subtext of contemporary worship. What shall I render un-to God for all His blessings? What shall I render, (Tell me) What shall I give? God has ev-’ry-thing; Ev-’ry-thing be-longs to Him. What shall I ren-der, Tell me what shall I give? All I can render is my bod-y and my soul. That’s all I can render, That’s all I can give. Last summer, I participated in a joint worship service sponsored by a group of congregations in Nashville, Tennessee, in observance of Sickle Cell Sabbath. 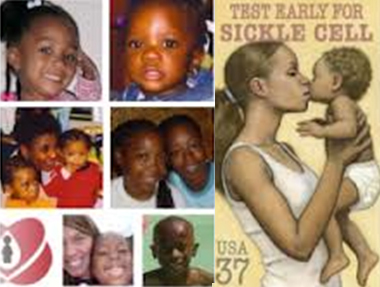 This novel concept brings awareness about Sickle Cell Anemia, a disease that disproportionately affects African American children. As a part of the program, each congregation was encouraged to host a blood drive at their facility, in attempts to educate their constituency about the power in the life of the blood for those who suffer from the disease. Clinical research has concluded that regular blood transfusions prove successful in treating the disease and in giving children a good quality of life. Since Palm Sunday gives way to the passion that Jesus would suffer for sake of humanity, a blood drive would not be a stretch, as a sacrificial act of devotion. There is no expectation of return in this giving, only the potential of giving life to recipients. It would be solely an act of altruism, offered by those who willingly choose to participate. This act would also underscore the theological significance of blood for the giving of life—something we sing about without any particular practice. Of course, congregational and community education and coordination would be required in order to execute a project of this magnitude. The goal, though, should be on rendering a service for which the giver has absolutely no expectation of receiving in return, not even having their names called. Can you think of other such ideas to support good causes? Perhaps your congregation can join together with other congregations to do something in the battle for gun control or perhaps the fight against HIV/AIDS. http://www.npr.org/2012/03/28/148610494/the-illegal-procedure-of-paying-college-athletes accessed November 7, 2012.
http://www.bizjournals.com/portland/blog/threads_and_laces/2012/07/nike-track-stars-join-chorus-of-boos.html?page=all accessed November 7, 2012.
http://www.time.com/time/business/article/0,8599,1847053,00.html accessed November 8, 2012.
http://www.justsomelyrics.com/2312728/When-Praise-Demands-A-Sacrifice-Larnelle-Harris-Lyrics accessed November 8, 2012.
http://www.music-lyrics-gospel.com/gospel_music_lyrics/im_available_to_you_9750.asp accessed November 8, 2012.
http://www.allgospellyrics.com/?sec=listing&lyricid=3805 accessed November 8, 2012.